Released earlier this month, “Solo” is officially Clean Bandit’s biggest single launch to date! Accumulating over 20 million streams during its first week, peaking at #12 in the UK’s Official Singles Chart and #26 in Spotify’s Global Chart, the summer anthem is set to further cement Clean Bandit as one the most successful hit-making outfits of recent times. “Solo” has been added to 81 x ‘Today’s Hits’ playlists on Apple Music, sits inside the Top 10 on Spotify’s ‘Today’s Top Hits’ and has been playlisted across the board at UK radio with adds on Radio 1, Radio 2, Kiss and Capital. Furthermore, it sits at No.1 on Shazam’s ‘UK’ and ‘Future Hits’ charts and midweeks at No.9 in this week’s UK Official Singles Chart. 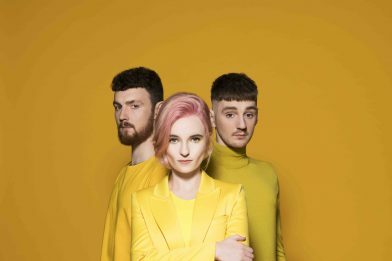 Clean Bandit’s performed at Radio 1’s Biggest Weekend in Swansea on Saturday and you can watch their performance here.